Keeping Christ at the center of your faith is easy with this beautifully designed ring that can be worn as a stylish reminder. The Jesus Ichthus Ring from Apples of Gold shares your faith with a fashionable edge, beginning with the 14K white gold band. The band is clean and modern so the focus can be kept on the design elements of the ring. 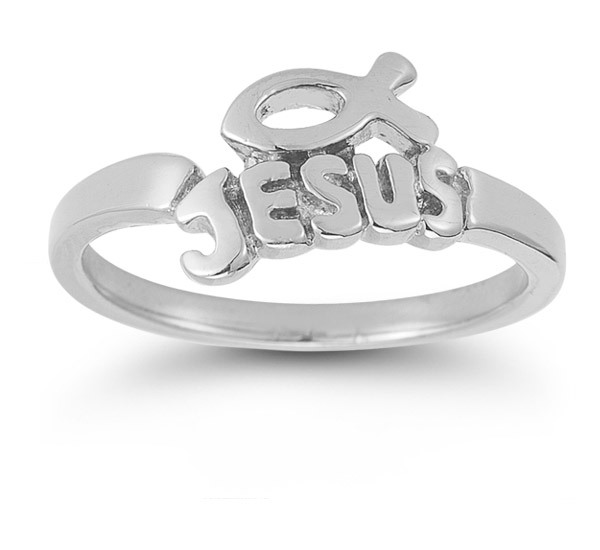 "Jesus" is spelled out in bold block lettering on the ring, while the ichthus symbol hangs above. We guarantee our Jesus Ichthus Ring in 14K White Gold to be high quality, authentic jewelry, as described above.